A well-proportioned ground floor maisonette positioned within a favoured location just outside Hythe Village. Internally, the spacious accommodation includes two double bedrooms, a front aspect living room, a kitchen and a wetroom. Outside of the property are front and rear gardens with decking to rear and a garage located within a nearby block. Further features include gas central heating and UPVC double glazing. An internal viewing is strongly recommended to fully appreciate the spacious accommodation on offer. 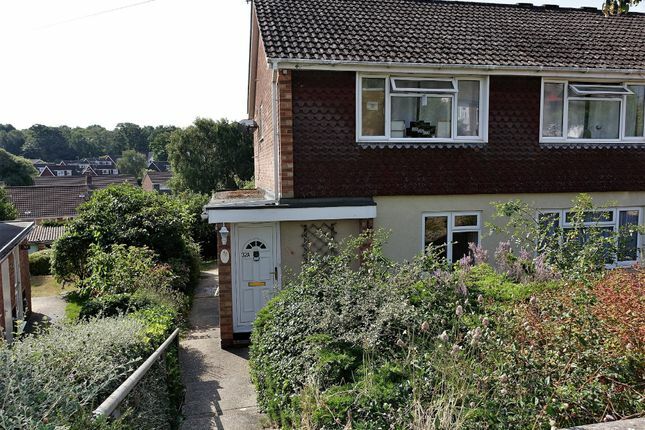 Location The property is located within an established and popular residential area just outside the waterside town of Hythe. This means all the amenities offered by the village centre are within easy reach and these include a range of shops, bars and restaurants, a passenger ferry service from Hythe pier to Southampton along with bus services to many other areas. Proximity to both The New Forest National Park and The Solent enables many outside interests to be enjoyed and there is a recreation centre at Applemore and Gang Warily, a golf course at Dibden, an activity centre at Calshot Beach and a Country Park at Lepe. Entrance hall Timber front door opens onto hallway. Access to all accommodation and two built in storage cupboards. Living room Spacious room with a large window to front. Bedroom one Double bedroom benefiting from a built in wardrobe. French doors open onto decking which provides access to rear garden. Bedroom two A second double bedroom with a large window to front. Kitchen/breakfast room A modern kitchen with units fitted at base as well as eye level. Space is available for an oven, washing machine and a fridge freezer. Built in pantry houses a replaced 'worcester' combi boiler. Window to rear. Wetroom Suite fitted with a shower, WC and hand basin. Tiling to surrounding walls and a screen window to rear. to the front Laid to lawn with various established flowers and shrubs to borders. Steps and a pathway lead to front door. To the rear Benefiting from a sunny southerly aspect, mainly laid to lawn with well maintained flower beds to borders. Steps to decked area and access to front and rear via timber gates. Lease details Remainder of 990 year lease granted in 1967. Council tax This property is currently in tax band 'B'.